Each industry has its own watering holes. Particularly it should be said, of the booze industry. It turns out one of such places in town where everyone goes to is Amuse Bouche, located in The Hennessey, Wanchai. Funnily enough, it was a work dinner last week where we celebrated the leaving of the colleague that I am replacing. Although technically a dinner with colleagues, it was very much a dinner with wine nerds and geeks. I am feel fortunate that I work with such knowledgeable and passionate people. Everyone at the table had at least a WSET Level 3 if not diploma and even a MW student. Everybody reassures me to not stress about WSET certification just yet, however seeing just how informed everybody about the beverage, how can you not push yourself to do better? Amuse Bouche is a pretty decent French restaurant. They have amazing corking services, which is presumably why all the winos in town come here. They, at least, yielded to my boss's most discriminate demands. Food-wise, I'm not as impressed. The lobster bisque was fantastic and so was the little truffle pasta we ordered in between. As the world's BIGGEST duck confit fan, I could not resist ordering the dish. The skin is nice and crispy as it should be but it was too salty. I feel like duck confit is a French staple and if you cannot make a decent duck confit, then I'm not sure if you can really call yourself French. Just my 2¢. Interior-wise, it's very what I call “Hong Kong luxe”. 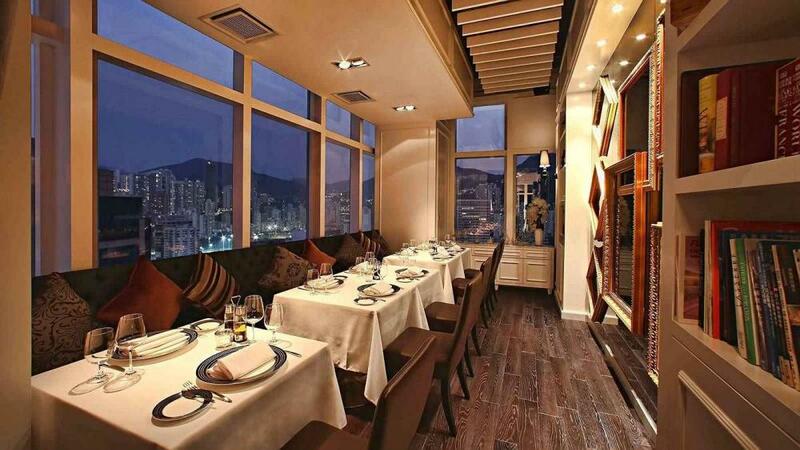 As in, it is what Hong Kong people think of as “luxury” when it really just robs off as gauche and a wee tacky. Considering the prices you pay here, it's not quite up to snuff. Still I think this restaurant has a place on Hong Kong's restaurant and I will probably come back from time to time in the future.